Stubborn Fat? We Fix That. *Named #1 CoolSculpting Provider (Diamond Crystal Practice) in Arizona by CoolSculpting®. CoolSculpting cost will boil down to 3 main factors. What area needs treating? How large is that area? How much fat needs to be reduced? Bodies are unique and not one size fits all, therefore your CoolSculpting treatment plan will be unique to you. At Bodify, we are open and transparent and understand that you may want to know a range so you don't waste your time. We've treated people for $600 and others for $15,000, a huge range, we know! 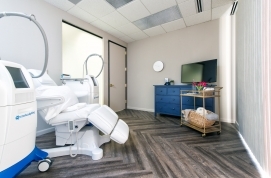 One thing we can tell you, regardless of the cost of your treatment, we guarantee your results. Our consultations are always complimentary and pressure free. They are just an opportunity to map out your custom treatment plan, show you before and after photos and discover if CoolSculpting is a good choice for you! 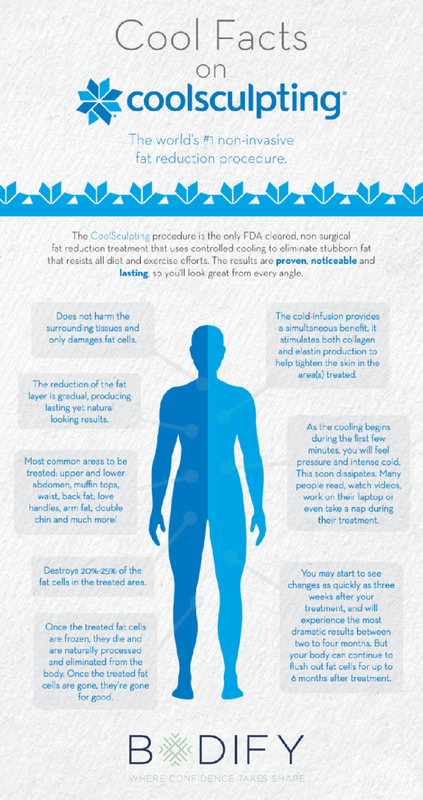 CoolSculpting is the world's #1 non-invasive fat reduction procedure. It is FDA-cleared, non-surgical and totally non-invasive. There is little to no downtime so you can get back to your daily activities right away. There are 100s of white papers written on CoolSculpting. As of 2018, the procedure has been done more than 7.1 million times and continues to gain momentum as it is safe, effective and allows you to contour, shape and sculpt their body in ways that diet and exercise have failed to do. Regardless if you are eating well and very active and looking for small changes to your body or just starting your journey and need a little motivation to get you going, CoolSculpting is ideal! SEND ME THE RESULTS THAT COULD BE MINE! No pressure. No judgement. Just Results! Fill out the form below to receive the gallery of amazing results that our clients have seen! A more sculpted & confident YOU. We use CoolSculpting technology to, literally, freeze away stubborn, unwanted fat. The number one hesitation people have about CoolSculpting is the fear that it won’t work. Who wants to throw their hard earned money down the drain? Bodify doesn’t want this fear to be a factor in your decision to transform your body. 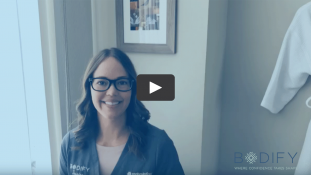 Our Beautiful Results Promise™ gives you peace of mind when investing in CoolSculpting at Bodify. 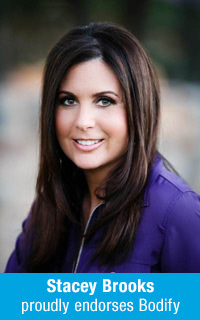 Stacey Brooks has been a Radio Host and TV Contributor in the Valley for more than a decade and was named Best Voice on Radio by Phoenix Magazine. You can listen to Stacey weekday mornings from 5am-9am on KTAR News 92.3 FM as she hosts KTAR's Entertainment Reports on Arizona's Morning News. Stacey describes herself as a news and entertainment junkie and someone who is passionate about pop culture. She also loves giving back to the community. Stacey has helped to raise millions of dollars for Phoenix Children's Hospital as a part of KTAR's annual Give-A-Thon. She also supports the Arians Family Foundation and the work they do on behalf of CASA (Court Appointed Special Advocates) for children. When she's not on-the-air, Stacey enjoys hiking, traveling and spending time with her husband, Todd, and toy poodle, Skyler. So please tune in to hear Stacey on-air, friend her on Facebook and follow her on Twitter. 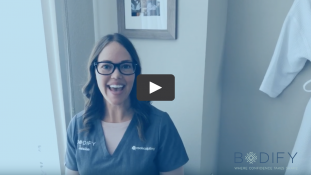 She would love to connect and of course answer any questions you may have about Bodify, Arizona's premier CoolScultping provider! Follow Stacey on Facebook and Twitter! "Results were amazing. I'm happy with the outcome. Staff is extremely pleasant and attentive to small details. Excellent service and results." "I received results on sliming my abdomen. I am pleased with the results. Everyone makes you feel welcome, like an extended family." Open early mornings, evenings and weekends too! Copyright © 2018 Bodify. All Rights Reserved. Click HERE for patient safety information.